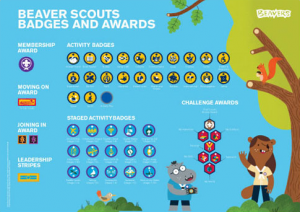 Beaver Scouts are encouraged to work on additional badge work in their own time. Requirements for all badges can be found here and leaders are always happy to give support and advice on these. 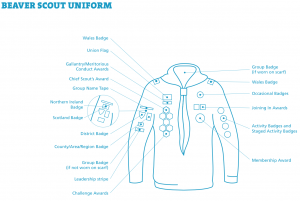 Badges should be placed on Beaver uniforms as shown below. The highest Award available for Beavers to earn is the Chief Scout’s Bronze Award.